Winter came back with a bang on Friday, but Wicklow had its first flurry of winter snow today. 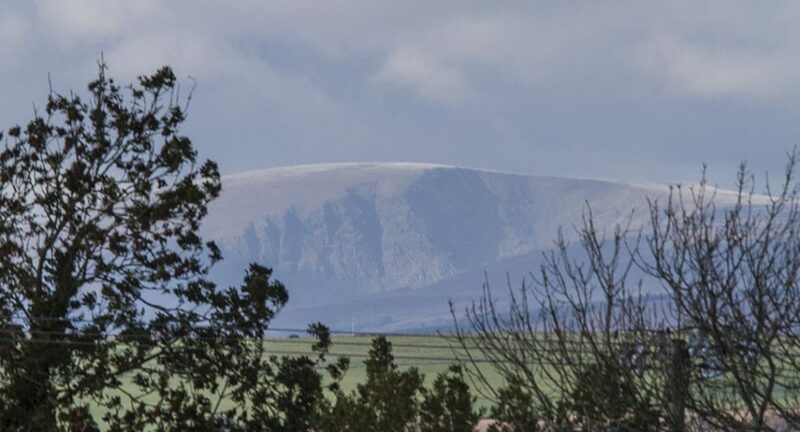 After the fog had cleared from the Wicklow mountains this afternoon, a light fall of snow was revealed on Wicklow’s highest peak, Lugnaquilla. A cold breezy day in store, despite some decent sunny spells. A few rain or hail showers, but mostly dry. Top temperatures only 7 or 8 degrees and feeling colder in the fresh and gusty north to northwest breeze.